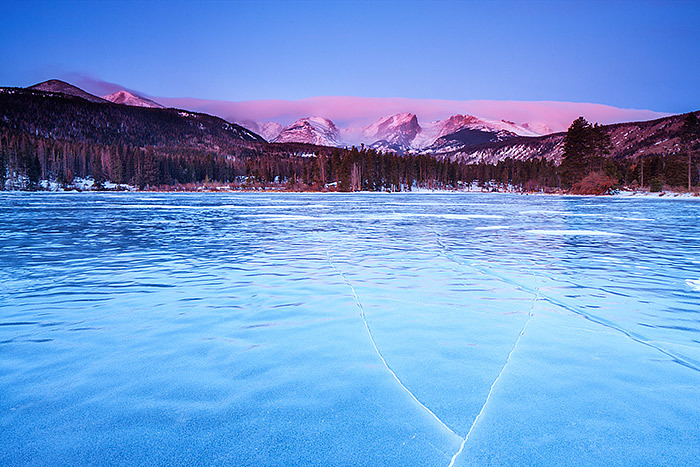 A frozen and wind swept Sprague Lake awakens as the winter sunrise lights up the peaks of Rocky Mountain National Park. Thatchtop, Otis, Hallet and Flattop catch the first colorful rays of sun as the frozen ice of Sprague Lake reflects the blue sky overhead. Photo © copyright by Thomas Mangan.